Zack LaVine's donned a Michael Jordan "Tune Squad" Jersey and wowed the crowd with a "Space Jam" to win the 2015 slam dunk contest. If you haven't seen it - take a look at the above video. It's amazing. The audience wasn't the only one who was in awe - so were the judges - including Dr. J. 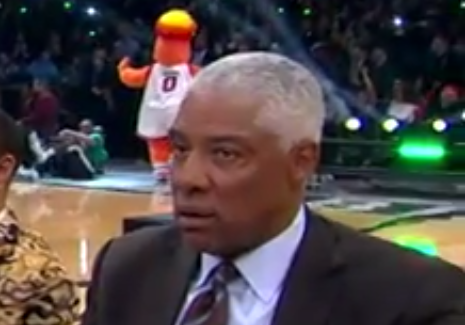 In the image below, from the 1:11 mark, Julius Erving's facial expression captures a very specific emotion and one of its associated nonverbals. Others would call this an example of surprise. They'd too be in error - but closer to the mark. (Why is this expression not surprise?). This is one of the facial configurations which are seen when there is a disparity between what the intellect knows - but what the emotional brain is having trouble processing. A more colloquial way of saying this is this is a nonverbal way of saying, "I don't believe what I just saw!" (with vocal tone/qualities suggestive of impossibility). It's indeed a facial manifestation of mild psychological shock.